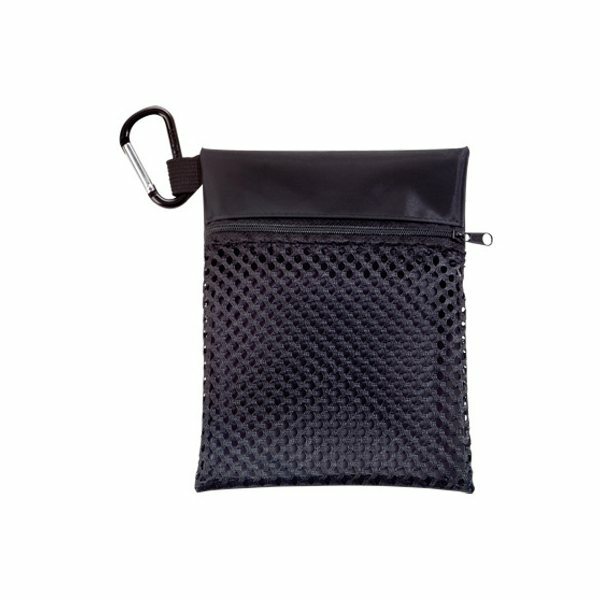 Mesh golf tote with carabiner. Mesh front, solid nylon back. The products are of excellent quality. Our conference attendees were all very excited to receive this! And many of them wanted to know where we got them. This product is durable and has worked well for us. Moreover the printing of our logo is very high quality and looks great!